I know I’ve been really lazy and my recent posts sound like nonsense, more than ever (this one will probably beat it!!). And I feel really bad about it. Trust me, I do. I haven’t been feeling all that great during the past couple of days. I did try to write something, to be honest. But I was completely blank, didn’t know what to write, couldn’t think of anything good enough to post. Today, I thought I should finally sit down and post something…just push myself to do it, or I would never get over my lazy phase. 😛 And here I am! Tadaaaa! I’ve been sitting in front of the computer screen for almost an hour. And yet, this is all I was able to come up with. Must be a serious attack of writer’s block, I suppose. 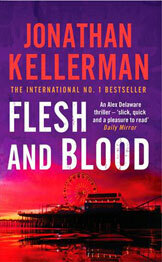 By the way, I finished the book I was reading – Flesh & Blood by Jonathan Kellerman. I read the outline on the back cover and I bought it because it seemed to have a lot of psychology in it. And I absolutely love psychology! Later, when I googled the author, I found out that he is, in fact, a psychologist. Anyway, the book was a great read. It maintains the level of suspense right from the beginning till the end. I was really engrossed in it, never found it boring at any point. But for some reason, I wasn’t exactly satisfied with the way it ended. I don’t know what else I wanted, because there was nothing wrong or bad with its ending. Yet, somehow, I just didn’t feel complete after I finished it. Anyway, I had a lazy weekend. Went out on a couple of days, loafed around, read a book, watched some movies, blah blah. Nothing new. And yes, I tried to get over the low I seem to be experiencing. I tried books, coffee, music, going out…the usual. I wouldn’t really say it worked, but yeah, I’m feeling a tiny bit better. This entry was posted in Books, Thoughts in Words, Writing and tagged Alex Delaware, Blog, Blogging, Books, Flesh & Blood, Jonathan Kellerman, Lazy, Psychology, Suspense, Thoughts, Weekend, Writer's Block, Writing. Bookmark the permalink. so which films are your all time favorites? do post about it. a ‘top ten’ list may be…would be glad to read about it! Hey, I did think of it recently! 🙂 And guess what? I’ve already begun to make a list!